UN Women (UNW), grounded in the vision of equality enshrined in the Charter of the United Nations, works for the elimination of discrimination against women and girls; the empowerment of women; and the achievement of equality between women and men as partners and beneficiaries of development, human rights, humanitarian action and peace and security. Placing women’s rights at the centre of all its efforts, the UN Women leads and coordinates United Nations system efforts to ensure that commitments on gender equality are translated into action throughout the world. It provides strong and coherent leadership in support of Member States’ priorities and efforts while building effective partnerships with civil society and other relevant actors. The UN Women Tanzania Country Programme is part of the United Nations Delivering as One and included as part of the UN Development Assistance Programme, (UNDAP) II (2016-2021) Outcome area “The economy is increasingly transformed for greater pro-poor inclusiveness, competitiveness and improved opportunities for decent and productive employment”, the UN Women Tanzania, Country Strategic Framework 2017 – 2021; the UN joint Programme for Kigoma Region 2017-2021 on Goal 5 ‘Achieve Gender Equality and Empower all Women’), CEDAW and other international and regional commitments. 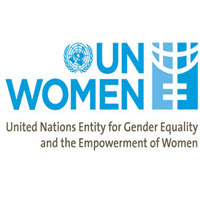 The UN Women’s project, Women’s Economic Empowerment -Increasing Entrepreneurship Skills for women UN Joint Programme for Kigoma (2017-2021) aims at ensuring that “Women, especially the poorest and most excluded, are economically empowered and benefit from development”. The project covers three districts of Kasulu, Kibondo and Kakonko in Kigoma Region. The economic empowerment of women is a human rights and social justice issue, but it also reduces poverty, and strengthens economic growth and development. Interventions aimed at promoting women’s economic empowerment will help in achieving full recognition and realization of women’s economic rights and, ultimately, sustainable development. Studies have shown that countries with a high level of gender equality are more successful in reducing poverty than those with a low level of gender equality. While recognizing the role of private sector in economic growth processes, it is equally important to invest in basic social services, social protection and infrastructure to improve people’s lives particularly women and girls. Enabling women to become successful in business development requires addressing underlying policy and regulatory constraints which falls under the LGA mandate. Information available in the Socio- economic profiles, district plans and budgets for Kibondo, Kakonko and Kasulu, have gender mentioned however the budget allocations to e.g. infrastructure, do not sufficiently prioritize the specific needs of women. Consultations with women entrepreneurs from the three districts indicate that women spend a lot of hours on unpaid care and domestic work e.g. taking care of children, and other family members, food preparation, fetching water or firewood, and are therefore time-poor and have less time to engage in income generating activities. Most women also indicated that they don’t own land or other productive resources to increase their income. They lack access to both, technology as well as information. While some women indicate that they belong to various self-help groups like VICOBA and other social networks, some also indicate that their husbands don’t allow them to join such groups. Such marginalization constitutes a major obstacle to socio-economic development of the women, their communities and the economy at large. In November 2017 UN Women engaged two national consultants to conduct a tailor-made training for LGA experts and District Councillors on gender responsive planning and budgeting as well as identification of interventions in LGA planning to enhance women’s economic empowerment. The training resulted to development of Action Plans for Women’s Economic Empowerment in each district of Kakonko, Kasulu and Kibondo. Work with the Ministry of Health, Community Development Gender Elderly and Children (MOHCDGEC) to support and strengthen the implementation of the Women Development Fund in the respective LGA. The development objective underlying the proposed training is to build capacity of LGA officials involved in development planning to ensure that the government plans are addressing the challenges faced by women entrepreneurs in terms of their access to capital, technology, information and prioritizing interventions that will reduce women’s time poverty. To support the LGAs to strengthen the implementation of the women development funds in the respective LGAs. The consultant will have an overall responsibility to lead the training, to produce reports, and to liaise with UN Women. Manage all reporting requirements for the training, compile and submit the final report. The final report incorporating UN Women’s feedback will be submitted by 12th October along with copies of all finalized training materials in English and Swahili. The report and training materials will be provided in both soft copy and one hard copy. Ability to prioritize and complete tasks in a very limited time span under pressure. 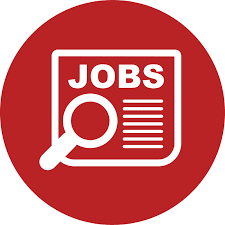 -master’s Degree in Gender, Economics, Sociology, Law or other related field of study and preferably with experience in training/facilitation (a PhD is preferred). Significant experience in carrying out gender training and applying gender mainstreaming to the empowerment of women and women’s rights. Knowledge of Kiswahili is a must.